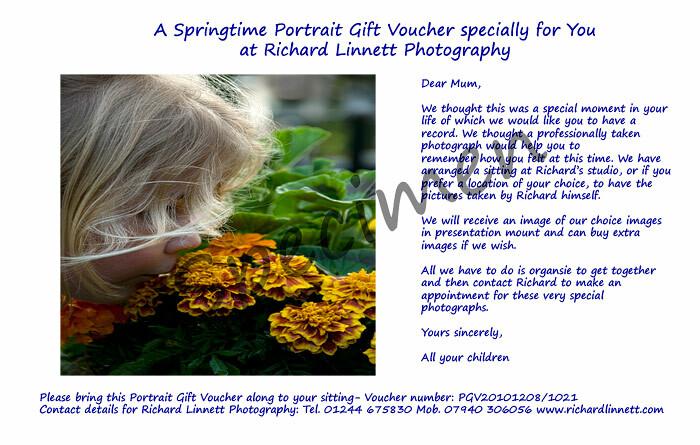 A Springtime Portrait Offer Voucher. Purchase this voucher for £40. Then, using this highlighted link, fill in the 'Springtime Portrait Offer application' with your details and the special message you would like to appear on the voucher. Once payment and message have been received I will make up the voucher and send it to the address given. If you wish to pay by cheque contact Richard and he will send you the address to post it to.